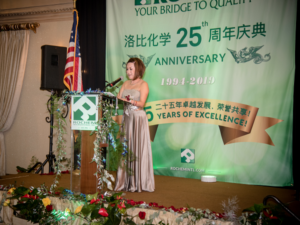 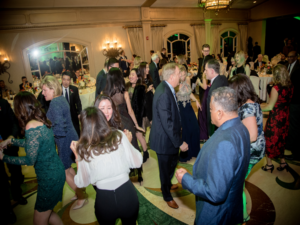 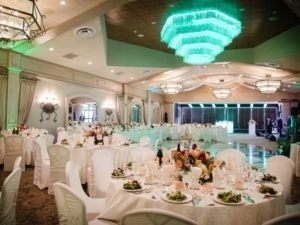 Rochem Turns 25 - Rochem International Inc.
Robyn Frisch, Founder and CEO of Rochem International, hosted a celebration in honor of Rochem’s 25th Anniversary on March 17, 2019 at the Crest Hollow Country Club in Woodbury, NY. 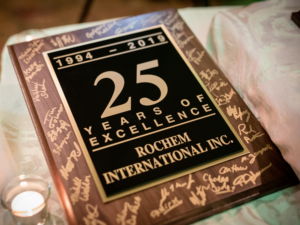 The event, which was attended by many of Rochem’s esteemed customers, suppliers, colleagues and friends, was filled with dancing, laughter, great food and reflecting on the achievements of Rochem in the last 25 years. 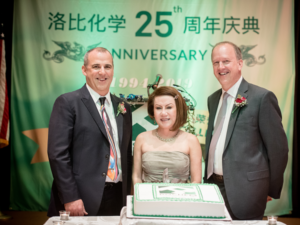 Rochem International was founded in 1994 by Ms. Robyn Frisch as an importer of chemical, nutritional and pharmaceutical raw material of Chinese origin. 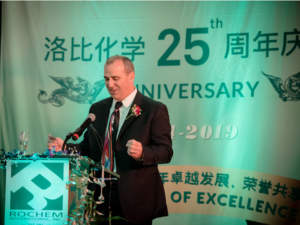 Since that time, Rochem has grown to become a global leader in developing, sourcing and supplying ingredients to some of the world’s largest Human Health, Animal Health, Nutritional, Dietary Supplement, Food, Beverage, and Confectionery companies in regulated markets. 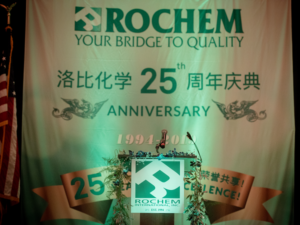 The dedicated sales, regulatory, sourcing and logistics staff, who focus on being best in class, has truly set Rochem apart and made Rochem an industry leader.